There’s been a fair amount of media coverage of the reduction in net central bank gold purchases seen so far this year, but the writers of these seem to treat all central banks as one. The implied suggestion as a whole is that this group of gold holders are all cutting back on purchases. But this has, in reality, been the case all along. There have only been three central banks which have consistently added to their gold reserves on a regular basis over the past couple of years – Russia, China and, to a smaller but significant in total effect, extent Kazakhstan. Since China began publishing its monthly gold purchase data in July last year it has, according to IMF data, added 174 tonnes of gold, while Russia has added even more at 230 tonnes. Kazakhstan has added some 35 tonnes. While observers will point out that the number of central banks adding gold into their reserves has diminished, this is largely irrelevant as, apart from the three central banks mentioned above, movements of gold into other individual central bank reserves has pretty well been minimal over the past two to three years. The fly in the ointment is Venezuela, which over the same period has reduced its gold reserves by over 100 tonnes to help it meet its foreign debt commitments and given its dire financial position may well continue to liquidate gold from its reserves, which used to be Latin America’s largest. But its capability for continuing to liquidate at this kind of rate will become more and more limited as its reserves are run down. While Russia’s and China’s monthly reserve additions appear to have been being cut back of late, one can’t really read too much into this in terms of a concerted reduction in central bank gold buying given the somewhat erratic nature of their month by month reserve increases in the past. Russian monthly reserve increases, for example, have varied from zero in January and February 2015 to 34.5 tonnes in September last year. China too has demonstrated sharp ups and downs in its reported reserve increases – from zero in May this year to just short of 21 tonnes in November last. Of course prior to June last year China was officially reporting zero month by month additions for the prior 6 years before announcing a massive 604 tonne increase that month alone. In the past, when it has also increased its reported reserve size substantially after several years of reporting no increases, it has said that this gold was held in a separate government account and thus non-reportable to the IMF. Perhaps this is still the case. There has thus been much speculation over the true level of Chinese government-controlled gold reserves given announced data changes like those of last June. In a country where all major institutions, and even the commercial banks, are effectively totally subservient to the state, there is a likelihood that gold reserves effectively under state control are very substantially higher than the latest official figure of 1,823 tonnes. Many speculate that gold effectively under Chinese government control, including that held in the SGE, commercial bank vaults and perhaps in other government accounts, could well amount to 5,000 tonnes or more. Some speculate they could even exceed the officially reported holdings of the U.S.A. which are at 8,133.5 tonnes. China is set on full internationalisation of the yuan (renminbi) and feels that its gold holdings could help it achieve this. It is already well on its way with the yuan becoming an integral part of the IMF’s Special Drawing Right (SDR) on October 1st. This will give it effective status as A global reserve currency, although not THE global reserve currency. If any country’s currency can be said to be THE reserve currency that would still have to be the U.S. dollar, but it looks as though China is trying to chip away at this status, giving, as it does, certain economic advantages in world trade. How things have changed in terms of market sentiment towards gold in just a couple of months! Heading into the end of 2015 virtually every bank analyst was predicting doom and gloom for gold as Fed rate rises would make holding gold less and less attractive. They were falling over each other to predict ever lower prices – $1050, $1000, $900 or even less. The only way was down. The silver price in New York closed at $14.10 on Friday. Ahead of New York’s opening the silver price stood at $14.12. The Technical picture on the gold price continues to point lower. We would have thought the fall would have been faster, but it seems that the lack of physical sales is now affecting the pace of the fall. The fundamentals have become irrelevant for 50% of gold mines are now unprofitable with the industry looking at a five year life for its mines, at the pace that gold is being produced now. But gold is moving with currencies as money, rising in falling currencies and falling in the dollar. After a sales of 0.893 of a tonne from the SPDR gold ETF but none from the Gold Trust, the holdings of the two gold ETFs, the SPDR gold ETF and the Gold Trust remain at 654.799 tonnes in the SPDR gold ETF and at 159.52 in the Gold Trust. The big news of the day will be the vote by the I.M.F. as to whether the Yuan will join the basket of currencies that make up the SDR. While it is a symbolic move, it will trigger an adjustment in central bank foreign exchange holdings with the Yuan coming in against while that amount of dollars and euros being removed. Its acceptance as a ‘well used’ currency by the IMF will make it far more acceptable for international deals to be funded in Yuan, again at the expense of the dollar and the euro. But most importantly is signifies a change in the monetary system’s structure. While the other currencies are ‘allies’ of each other China is not seen as an ally, thereby opening the likelihood of a divided and multi-currency system. With the U.S.A. holding the controlling vote in the I.M.F. we will wait to see if they accept the situation. It appears they can hardly refuse to do that, but let’s see first. New York closed at $1,141.50 on Friday down from $1,145.80 on Thursday. It held that level in Asia before London opened. The LBMA price setting fixed it at $1,135.80 down from $1,147.75 on Friday. The dollar Index has risen and now stands at 96.80 down from 97.11 on Friday. The dollar was weakening this morning as London opened, trading against the euro at $1.1025 down from $1.0993. In the euro the fixing was €1,030.20 down from €1,041.75. At New York’s opening gold was trading in the euro at €1,032.87 and at $1,137.60. The silver price closed at $15.52 down 8 cents on Friday. At New York’s opening, silver was trading at $15.42. Friday saw sales from the SPDR gold ETF of 2.084 tonnes and of 0.66 of a tonne from the Gold Trust leaving their holdings at 692.60 tonnes and at 161.33 in the Gold Trust. In quiet trade this may have accelerated the fall of the gold price in both the dollar and the euro. After rising to €1,050, the gold price has pulled back to €1,030, but still well above the below-€1,000 seen a month ago. Nevertheless, Friday continued to see support damaged with gold falling through that level. The Technicals are now in no-man’s land, below $1,060 and yet above $1,130. The downside risk appears limited unless gold falls through $1,130. We have now entered the best time for gold demand in the last two months of 2015 and the first three months of 2016. But the huge changes now expected come out of China with an announcement expected this month on China’s Yuan becoming one of the currencies that make up the Special Drawing Right of the I.M.F. While this may not be implemented until late 2016 it would be a major step forward for the Renminbi. Likely soon thereafter, we expect an announcement on the establishment of a Shanghai Gold Fix in the Yuan. 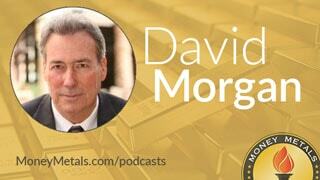 This unleashes a structural change in the monetary system and the gold markets. We may not see an immediate change in these markets, but overtime will see just how important they are. Silver prices are reflecting $ gold price moves despite the different market structure, as always. It demonstrates well the disjoint from fundamental conditions in that market. The Chinese central bank – the People’s Bank of China – is continuing with its new policy of reporting increases in the country’s gold reserves on a monthly basis. The latest figure announced is a gold reserve increase in August taking the announced total gold holding to 54.45 million ounces (1,693.6 tonnes), up from 53.93 million ounces (1,677.41 tonnes) in July – an increase of around 16.2 tonnes. Although this serves to confirm China’s position as the world’s fifth largest national holder of gold it remains hugely behind the USA with a reported holding of 8,133.5 tonnes and still also well below the top European national holdings by Germany (3,381.0 tonnes), Italy (2,451.8 tonnes) and France (2,435.4 tonnes). Russia, which expanded its gold holdings by 31.1 tonnes in August to reach 1,318.8 tonnes, is the world’s sixth largest gold holder. Interestingly media headlines for the latest Chinese purchase suggested that the Chinese gold increases have been in order to diversify its vast forex reserves away from the dollar, although it appears to be only doing this in a relatively gradual manner given it only holds under 2% of its forex reserves in gold compared with the USA’s 74% and the German, Italian and French holdings in the upper 60%s according to IMF data. Russia’s holding is around 13%. But most analysts disbelieve the Chinese total gold holding statistics anyway, reckoning they are almost certainly far higher with large amounts of gold held in non-reported accounts which it may move into its forex holdings, and report, when it is considered politically expedient to do so. Consequently there are also openly expressed doubts about the now monthly reported additions to the Chinese reserves. These seem to be smaller than might appear likely given the various officials’ and academics’ professed opinions on the importance of gold as a reserve asset in any global monetary re-alignment and the small proportion of the country’s forex reserves which gold represents. China may reckon on only announcing small gold reserve increases so as not to unduly influence the metal price, but one suspects that the market could absorb higher Chinese gold purchases than are being announced at present. All this is said to be a sign of greater transparency ahead of the delayed decision for the Chinese currency’s inclusion in the IMF’s Special Drawing Rights (SDR) basket of currencies. This is seen as a precursor to the Yuan’s acceptance by many more countries as a global reserve currency to rival the US Dollar. Already China has been setting up bilateral agreements with a number of nations to be able to conduct trade in Yuan and its acceptance in the SDR basket would move this process along much further. Re. the SDR, the make-up is theoretically weighted to the GDPs of the nations whose currencies are included in the basket [currently US Dollar (41.9%), Euro (37.4%), Pound Sterling (11.3%) and Japanese Yen (9.4%)]. The inclusion of the Yuan, given that China is reckoned by the IMF to have already surpassed the USA in GDP in terms of Purchasing Power Parity (PPP), although not in nominal terms where it sits in second place, would mean some very significant changes would need to be made. Official: IMF extends composition of current SDR basket for 9 months. In an announcement today, the IMF Executive Board has confirmed the previously suggested extension of the current SDR basket of currencies by nine months from December 31 this year up until September 30th next. This leaves the way open for changes to be made, and implemented, in the structure of the SDR basket for a revised basket (if so chosen) to be implemented in October 2016. The inclusion of the renminbi in the SDR basket may be seen by many as downgrading the status of the U.S. dollar in global trade and even possibly as the leading global reserve currency with all the advantages that brings. However any such change in status may take some years to take effect. China gold reserves up 19 tonnes in July. Really?! The People’s Bank of China (PBoC) – the Chinese central bank – had been somewhat reticent about reporting increases in its gold reserves as part of its total forex holdings having previously stated them as being at the same 1,054 tonne level for six years up until June before announcing that they were then actually magically 1,658 tonnes that month. This amount was received with widespread scepticism, with most analysts reckoning they are actually far higher and there had also been criticism of the way the bank had been reporting its gold holdings – or rather not reporting them. Now the PBoC seems to have changed tack and appears to be reporting its ‘official’ gold reserve figures on a month by month basis and for the latest month – July – now puts them at 1,677 tonnes – a rise of 19 tonnes in the month out of its now $3.65 trillion in total forex reserves – still equivalent to only around 1.5% of its total. Per contra, the U.S. claims to hold an official gold reserve, of 8,133.5 tonnes – or 72.6% of its total forex holdings – and Germany 3,384.2 tonnes (67.8% of its forex total). China thus would still seem to have an awful long way to go to catch up with the top Western nations’ holdings in purely tonnage terms and hugely more in percentage of its foreign exchange figures. But how accurate are official gold holdings for any country as reported to the IMF anyway – at least in terms of nationally-owned gold? There have been widespread doubts expressed about the true physical gold reserve figures of many Western nations – The U.S. in particular – as IMF rules allow leased and swapped gold to remain in the reserve figures as if they were still physically present. Similarly, but on the other side of the coin, most Western analysts believe the Chinese reserve figures are hugely understated with massive amounts of gold held in ‘non-reportable’ government-controlled accounts, thus enabling the Chinese to avoid having to report much larger gold holdings to the IMF with a straight face. And how important is the amount of gold held anyway? Western central banks seem to decry any value to gold – yet still continue to hold vast amounts of it. The Chinese and Indians, and a number of other nations too, seem to see gold as the ultimate money. Whether gold is just a ‘pet rock’, as a recent disparaging article in the Wall Street Journal described it, or true money as perhaps half the world or more sees it, it still has a tremendous psychological hold. It has been money, and been seen as the ultimate indicator of wealth, since time immemorial. It is inbuilt into the collective psyche and that certainly will not change overnight – if ever. It also seems to be the situation that in China, a very substantial gold holding – far above the currently stated ‘official’ figure – is considered to be a prerequisite for attaining a stronger position for the yuan in global trade. However there are political niceties to be observed here in that China does not – at least for the time being – want to rock the U.S. economic boat and a huge increase in its announced gold holdings might be seen as doing so. China’s initial aim would seem to be having the yuan accepted as being part of the SDR bundle, which would effectively bring with it reserve currency status. Once this is achieved – who knows? China’s limited yuan devaluation and controlled floating of the currency is being seen as a way of meeting at least part way some of the criticisms levelled at it by the IMF leading to a delayed inclusion within the SDR basket – which has to be inevitable ultimately. If this SDR decision is delayed too long, given the U.S. dominance of the IMF in terms of voting power, China could see this as an unfriendly act stimulated by the Western superpower and make moves to destabilise the latter’s global position – and it has a strong capability for so doing given its huge forex holdings, mostly in U.S. treasuries. But the time is not yet right, though if China has its SDR and reserve currency ambitions thwarted again the game could well change. China thinks long term in a way the West mostly does not. It may lose the odd battle but ultimately aims to win the economic war and who would give odds against the growing Asian superpower so doing! On Wednesday New York closed at $1,123.80 up $15.10. The dollar was slightly stronger at $1.1111 up from $1.1144 with the dollar Index unchanged at 96.58. This morning the LBMA gold price was set at $1,117.35 up $03.55. The euro equivalent was €1,003.23 up €2.40. Ahead of New York’s opening, gold was trading in a very narrow 30 point spread around $1,117.75 and in the euro at €1,005.00. The silver price closed at $15.52 up 18 cents in New York. Ahead of New York’s opening today it was trading at $15.35. While the Yuan fall is still the globe’s financial market’s focus the People’s Bank of China has made clear they are operating a “managed float” of the Yuan, allowing market forces to dictate the rate, but they will intervene if the market forces ‘brutal’ moves on the exchange rate. This is the case with the euro and the dollar too. Financial markets are stabilizing. Until the new exchange regime has settled down the PBoC will intervene should it deem it necessary. We believe that the process has been very bullish for gold in that it has risen as the Yuan has fallen against the dollar and will continue to do so. What has become clear in the actions of the Chinese government and central bank is that they are determined to accelerate the Yuan’s passage to a reserve currency, hopefully with the cooperation of the IMF, but if not, they will walk their own road. China is determined to become the globe’s No. 1 economy by all definitions. With the weight of their 1.4 billion population behind them and bearing in mind the progress made already, this process appears unstoppable. With their love of gold, the gold price can only benefit over time. We are pretty close to the levels from which the bear-raid of the last month was launched. It seems the short positions are not profitable but close to losses and yet remain in position. What we saw yesterday was what appears to be some short covering in the SPDR gold ETF where there were purchases of 4.173 tonnes of gold. But in the Gold Trust we saw sales of 0.36 of a tonne of gold leaving the holdings of the SPDR gold ETF at 671.867 tonnes and 161.02 tonnes in the Gold Trust. Will we see more short covering? Silver is marking time waiting for gold to point the way.